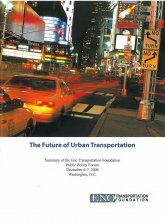 This publication contains the report on the Eno Transportation Foundation’s 2006 Forum on the Future of Urban Transportation. The forum was held on December 6-7 in Washington, D.C., and brought together 45 senior representatives from academia, government, business, and labor with expertise in complex challenges facing metropolitan areas. Forum participants explored the primary trends affecting urban mobility and identified specific actions to address increasing pressures on the nation’s transportation systems. 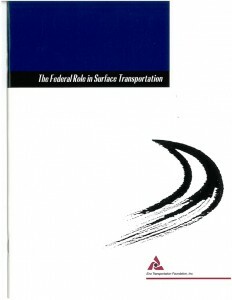 Discussions surrounding the reauthorization of the Intermodal Surface Transportation Efficiency Act in 1997 generated various proposals for reducing the role of the federal government and granting states more autonomy in funding and programming transportation improvements. An Eno Transportation Foundation forum examined how these programs and environmental requirements should be linked to transportation spending and how changes in them could affect environmental protection. 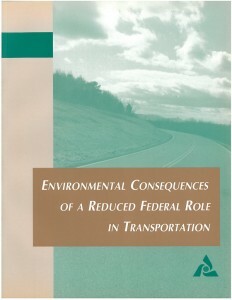 This forum report examines the issues involved in the breakdown of state and federal responsibilities in transportation and environmental programs, the interaction between transportation funding and environmental regulation, and the potential impacts of a reduced federal role in areas of environmental concern. Bruce McDowell, 69 pp., 1997. Because transportation is essential for economic activity and social interaction, governments have a strong interest in seeing that the transportation system adapts to changing needs, that all citizens share its benefits, and that it reinforces public policies in economic, social, defense, environmental, and other areas. This policy research study used illustrative emerging issues to identify topics that might warrant increased focus in future Federal Highway Administration policy development. 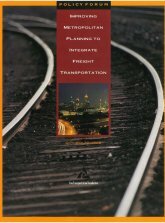 Metropolitan transportation planning has focused primarily on passenger needs, and improvements to facilitate freight services have often been viewed as benefiting only private transportation providers. More communities are now beginning to recognize that a healthy freight transportation infrastructure will improve environmental quality, boost trade, and bring private capital into communities. Participants at a forum sponsored by the Eno Transportation Foundation and the U.S. Environmental Protection Agency examined ways in which all parties engaged in local, regional, and federal investment decisions can work together to improve the efficiency of freight transportation (particularly intermodal services) and increase the potential environmental benefits to metropolitan areas. This report summarizes the discussions at that forum, which was structured to focus on successful experiences and to extrapolate how they might be applied in other regions of the country. Kevin E. Heanue, 71 pp., 1999. The U.S. produces about one-quarter of the world’s total emissions of greenhouse gases, and transportation generates about one-third of those emissions. 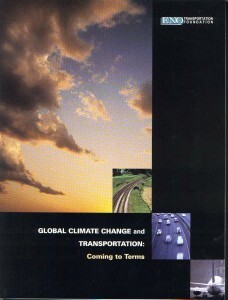 This report, based on a seminar series conducted by the Eno Transportation Foundation and funded by the U.S. Department of Transportation and the National Cooperative Highway Research Program, presents a number of views and opinions on global climate change and its relationship to transportation. It is intended to help transportation leaders gain a better understanding of the key issues and facts related to global climate change. 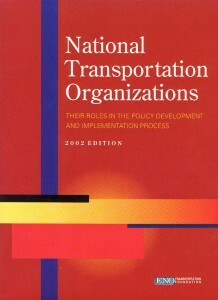 161 pp., 2002. The United States transportation system is a remarkably dynamic and responsive enterprise, composed of many thousands of individual firms and agencies, with no “one” agency in charge. National transportation organizations not only provide the information, coordination, and structure needed to allow those independent firms and agencies to adjust to changes that impact the system, but they also play a key role in shaping transportation policy. This report identifies more than 200 organizations that represent individuals or companies with a stake in our transportation system and describes their roles in the development and implementation of transportation policy. It also identifies federal agencies and key congressional committees involved in transportation policy. 2005. 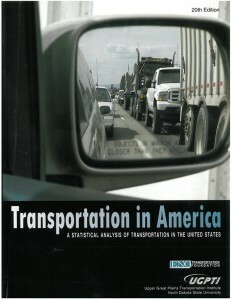 This 2005-06 symposium series, held in cooperation with the U.S. Department of Transportation and the U.S. Environmental Protection Agency, examined the interplay between goods movement and the environment, and addressed a complex set of issues that are critical to the nation’s transportation system, economy, and quality of life. More than 60 industry, government, and community leaders participated in the discussions, which explored a number of topics including freight bottlenecks, advanced vehicle technologies, financing freight infrastructure, air quality issues, port/facility expansion, and community activism that are important to achieving freight and environmental goals. 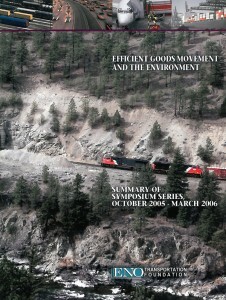 The summary report lays out the major points made by series speakers and describes options related to technology, infrastructure, and citizen engagement to address conflicts that arise as the U.S. pursues the dual goals of ensuring efficient movement of freight and protection of the environment. 22 pp., 2006. In the annals of history, a figure sometimes emerges who, though not universally known, is nonetheless of crucial significance. 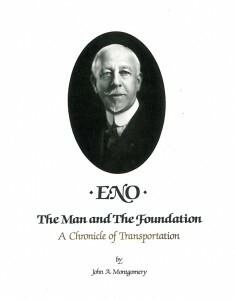 Such a figure was William Phelps Eno, the founder of the Eno Transportation Foundation. 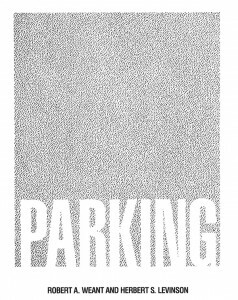 This book examines Mr. Eno’s personal background and the organization he created to deal with the centuries-old problem of urban traffic chaos. It highlights the enthusiasm and imagination of this unique man who devoted his adult life and personal fortune to improving transportation for everyone. It also provides a sweeping picture of modern transportation development. John A. Montgomery, 199 pp., 1988. Airports are businesses that have significant political, social, and economic consequences. 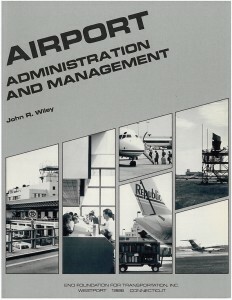 The role of the airport administrator has changed, reflecting an increased emphasis on policy questions, and this necessitates a greater reliance on improved management techniques. This report provides real-world perspectives on airport operations, explores the expanded role of today’s airport manager resulting from changing conditions and expectations, and presents problem-solving skills to meet present and future service needs. 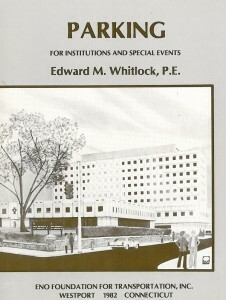 John R. Wiley, 195 pp., 2d ed., 1986.